Nationally, hospitals need more than 235,000 nurses to fill current vacancies. By 2026, employers will need more than 437,000 new nurses to care for the growing baby boomer population. Although the medical community is working actively with nurse educators and nurses to address the shortage, which affects nurses and patients alike, the battle over what constitutes proper education for nurses could jeopardize the timely delivery of solutions. In Vermont, the majority of nurses receive their education through the associate degree program at community colleges. Another smaller group attend four-year colleges and graduate with a baccalaureate degree in nursing. Approximately nine percent of the existing workforce practice with a diploma in nursing issued by a reputable hospital program. Graduates of all three programs achieve registered nurse status after passing the same licensure exam. Based on a study published first by the Journal of the American Medical Association and later studies conducted by other associations, nurses with a BSN have better patient mortality outcomes for surgical patients than nurses with an associate degree or diploma in nursing. The outcome of these studies along with other secondary factors is what motivate hospital employers to hold out for BSN nurses – despite their critical vacancy rates. However, the associate degree in nursing programs offered at community colleges are a critical conduit for educating the majority of nurses to meet the existing shortage. Registered nurse candidates have the option of the associate degree or the baccalaureate degree. 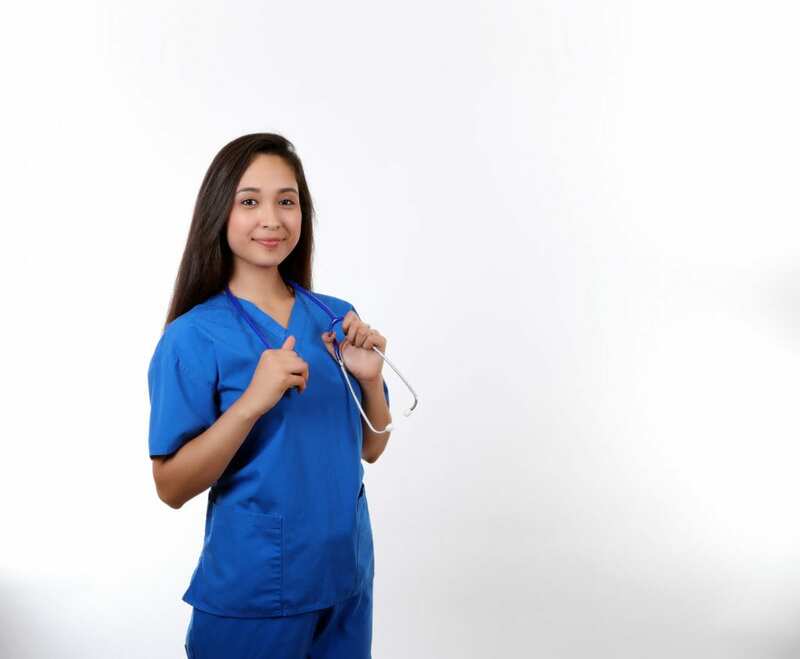 Those who take the faster, less expensive route offered by the associate degree can easily enroll in an RN to BSN program for a seamless transition to the BSN degree. The program admits registered nurses who have an associate degree and a license to practice but no baccalaureate degree. The proliferation of the RN-BSN program nationwide is a direct response to the growing demand for nurses with more education. Students graduating from the program will be distinguished by having the competency to lead out in community health and disease prevention. The BSN degree is beneficial for nurses with advanced career goals, such as management, education, and advanced practice. The short supply of registered nurses has in no way lowered employer standards for new hires. In fact, employment standards for nurses are higher than its ever been and are sending more nurses back to school. A review of the hiring practices for leading hospitals in Vermont reveals the baccalaureate and the master’s degrees as the preferred education for nurse hires. Existing nurses are “strongly encouraged” to get an advanced degree within five years of hire and receive compensation, such as tuition reimbursement, flexible scheduling options and other benefits for going back to school. The drive for staffers to earn the BSN degree is to meet national goals established by the Future of Nursing Report published by the Institute of Medicine. In the report, the IOM challenges each state to increase the educational attainment of the nursing workforce to a point where 80 percent of registered nurses would hold a minimum baccalaureate degree by 2020. The IOM believes that a highly educated workforce would be better able to meet the demands of an evolving health care system and the changing needs of highly informed patients. Encouraging nurses to go back to school and earn the BSN is the most effective means of increasing the overall education of the workforce to meet the IOM’s standards. RNs will emerge with advanced skills and a broader insight on how to care for patients who are sicker and present more complex cases than patients in previous years. Their leadership capabilities and competencies exceed the standards assessed by the NCLEX, and they are better prepared to navigate the challenges of the profession. Research is clear on the benefit of an advanced degree for nurses. Nursing teams where the majority holds a baccalaureate degree or higher have been shown to have fewer negative effects for patients. Nurses need a sound knowledge of geriatrics, public health, leadership, research, health policy, evidence-based practice, and systems improvement to use complex information systems to improve the quality and effectiveness of care. As they care for sicker, frailer patients and operate advanced life-saving machinery, nurses are confronted with life or death decisions that must be made in a moment’s notice. In rural areas where health care professionals are in short supply, nurses function as primary care providers to the aging population. The BSN model covers the training essential to preventative care and disease progression. Hospitals are lining up to secure Magnet Status awarded by the American Nurses Credentialing Center, yet few achieve it. Those employers who attain the award must provide educational opportunities for its employees as hirer level employees, such as nurse managers and charge nurses must be prepared at the BSN level at minimum. Magnet employers seek to close this gap in nursing education by hiring more BSNs or by promoting BSN completion to existing nurses. Magnet Status is more than just a title; it is an indicator to patients and prospective employees of the hospital’s commitment to patient satisfaction, nursing input, nursing turnover rates, and quality of care. Registered nurses who are desirous of working in a hospital setting would improve their chances of employment after completing the BSN degree. They gain a sense of personal and professional accomplishment and have the confidence to actively engage in operations and policy-making. A BSN degree tells your employer that you are capable of utilizing the latest technology and evidence-based practices in the delivery of care. The BSN takes nurses a step closer to a higher career goal – a master’s or doctorate degree in nursing. The graduate degree is essential for advanced practice registered nursing licensure, such as a nurse practitioner, clinical nurse specialist, nurse midwife, or nurse anesthetist. Increasing the population of nurses holding a graduate degree also increases the pool of candidates available for nurse educator positions. Nursing education programs turn away hundreds of eligible candidates each year due to a lack of resources and faculty to teach. The limited supply of faculty members is expected to worsen as senior members approach retirement. Although more nurses are pursuing graduate studies, they often do so to fill clinical positions which offer greater financial rewards than educator positions. The RN to BSN program is designed for registered nurses who have an associate’s degree and a license to practice. It gives them the opportunity to earn a BSN degree to take on greater responsibility and a leadership role in health care. It also is an excellent option for career mobility as it provides a foundational course of study for those considering graduate study. Students will acquire skills beyond the clinical aspects of nursing. The BSN curriculum supports development in the areas of patient safety, technology, evidence-based practice, and healthcare systems and policies. It builds on the associate degree education and experience as a registered nurse and directs students’ minds to trends in healthcare, therapeutic interventions, research, and community concepts. Apart from the general education requirements, the program will cover key subject areas that will give RNs a broader view of practice. The health science, nursing, and degree-specific courses will include population focused nursing, clinical microbiology, evidence-based practice, community health, nutritional science, care of the older adult, communication for healthcare, professional leadership, health assessment, and applied nursing research. The RN-BSN may be delivered completely online, but students may be required to complete the required clinical experiences in a nearby healthcare facility. With the transfer of 80 plus credits, the program may be completed in 12 months. Successful completion of immunization screening, Healthcare Provider Basic Life Support CPR certification, and mandatory drug screen and criminal background check. The estimated cost the RN-BSN program for Vermont residents is $19,380 not including the cost of books, fees, supplies, and other expenses.